What’s up everyone? Hope you’re all doing great and living large. I just wanted to drop you a quick note to let you know some pretty exciting news. A while back, I wrote a song about overcoming obstacles (I called the song Run). At the time, I wasn’t really sure where it would go or what would happen with it. Well, it kind of took on a life of its own and was heard by a few of the right people. 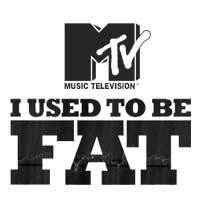 To make a long story short, my song Run is going to be featured on the MTV show "I Used to Be Fat," which airs worldwide. For those of you who don't know this series, it's about overweight teenagers trying to lose weight and reach their goals. I like the philosophy behind this show and it's great to be part of it with my song, because to me the struggles experienced by the protagonists represent the struggles all people go through as they try to achieve important goals in life. We all have to be willing to overcome our personal doubts and fears if we want to succeed and that's what "Run" is about. Need an Adrenaline Kick? Listen to "Run"! What we would need in that moment would be a motivational kick, somebody who'd say something like "hey, imagine how good you would look in that bikini if you shaped up for the summer a little bit" or "hey, you know you would feel a lot better if you wouldn't puff like a grampus each time you climb the stairs." It might also help to listen to a motivational coach on a CD, watch someone transform in a TV show, or listen to a song that gives you a boost to put on your running shoes. Why not use my song Run for it? The energy it conveys could encourage you to take action and stay focused. Be One of the First 1000 People who Get "Run" for FREE! Since I would like to help you make a change for the better in your life, I would like to give the first 1000 people who subscribe to my mailing list the possibility to download "Run" for FREE. Click here if you are interested in downloading it for FREE! So get into action NOW, download it and put on your running shoes! I would advise you to do it now, cause later on it will only be available if you pay for it. I hope that I can help you get going with my song Run and that you'll enjoy listening to it! Also make sure to keep an eye out, so you don't miss it on "I used to be fat," as soon as it airs in your country. Have fun!